Giannis was born in 1969, in Palaio Faliro- Athens Greece. He competed in his first triathlon when he was 21 and has since been involved as an athlete, coach, sports events organiser and administrator, anti doping control officer and sports journalist. His academic background is in chemistry, sports management and administration, business management (MBA), communications marketing (MSc), sports management (MSc), sports coaching and sports science (MSc in Maximisation of Sports Performance and PhD in Sports Physiology are both in progress). He is a great believer in Continuous Coaching Development and strives to stay current via seminar, certifications and other procedures for coaching development. 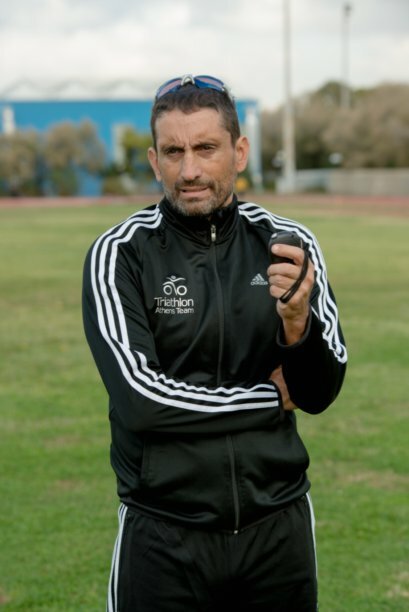 He is fully committed to further improve his coaching skills to become a worldwide top and innovative coach in Enduranace Sports in the following 4-6 years. He is married with Stella Charalampopoulou and they have a 5 year old daughter . Started in sports back in 1977 (swimming and basketball) and Triathlon in 1990. 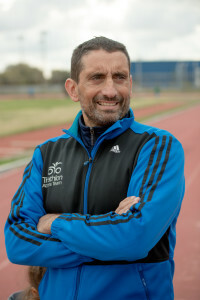 He was member of the Hellenic National Triathlon Team until 2001. 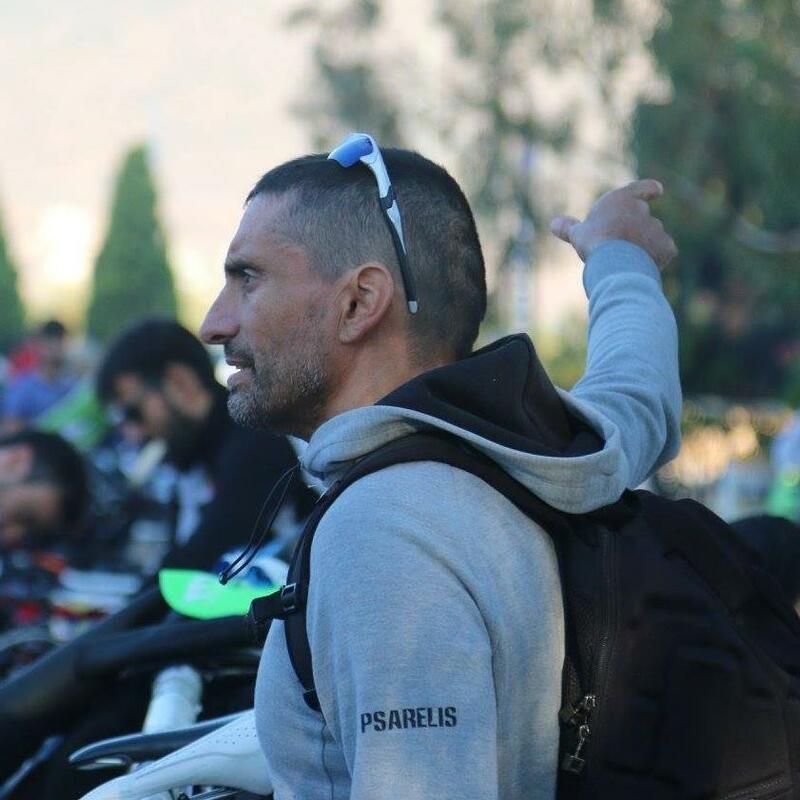 He has organised more than 50 triathlon races all around Greece.He observed many International Triathlon Races all around the world in order to get more experience in Triathlon Events Organisations. He has attended many international seminars concerning events organisations and triathlon sports coaching, mostly in Europe. From 2001 until 2006 he was conducting out of competition doping controls for WADA and several major IFs (FINA, IAAF) and several Anti- Doping Agencies. He has given many lectures in schools concerning “clean sports” and the dangers of using doping substances in sports. 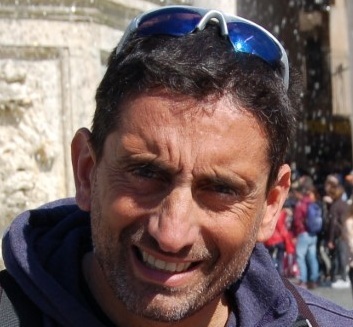 He is the editor for various sport websites : www.triathlonworld.gr, www.triathlon.gr, www.roadrunning.gr, www.cyclingworld.gr, www.athensjournal.gr e.t.c.He was contributing author in various magazines (political and sports related). September 2004 – September 2006 – MSc in “Marketing and Communication with new technologies” (Athens University of Economics and Business). His thesis was in Strategic Management of Non for Profit Organisations. September 2001- September 2002: MSc, European master in Sports Management (Lyon 1, France). The MSc is endorsed and it’s under the supervision of International Olympic Committee. «St.Paul’s» Francohellenic Lycee, Lykeion Apolytirion 18 3/11. I.M.Psarellis et al. «Flow – injection chemiluminometric determination of sodium cyclamate» (27th July 1992), Analytica Chimica Acta, 272 (1993), Elsevier Science Publishers B.V., Amsterdam. I.M.Psarellis et al. «Flow – injection chemiluminometric determination of some bile acids» (9th February 1994), Analytica Chimica Acta, 294 (1994), Elsevier Science Publishers B.V., Amsterdam. Science of Exercise by University of Colorado Boulder on Coursera. He has started to coach young athletes and novice triathletes back in 1992. 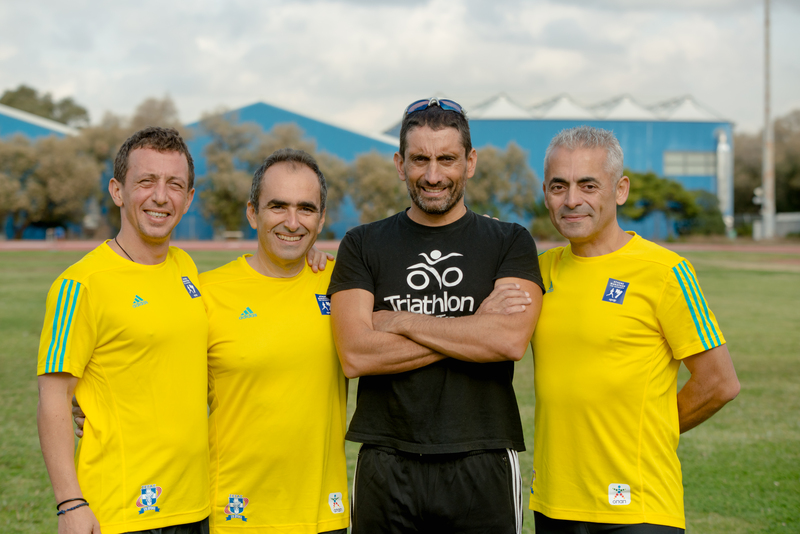 He has more than 10.000 hours face to face coaching experience the last 25 years that he is involved in Triathlon. He has supervised more than 150 athletes. 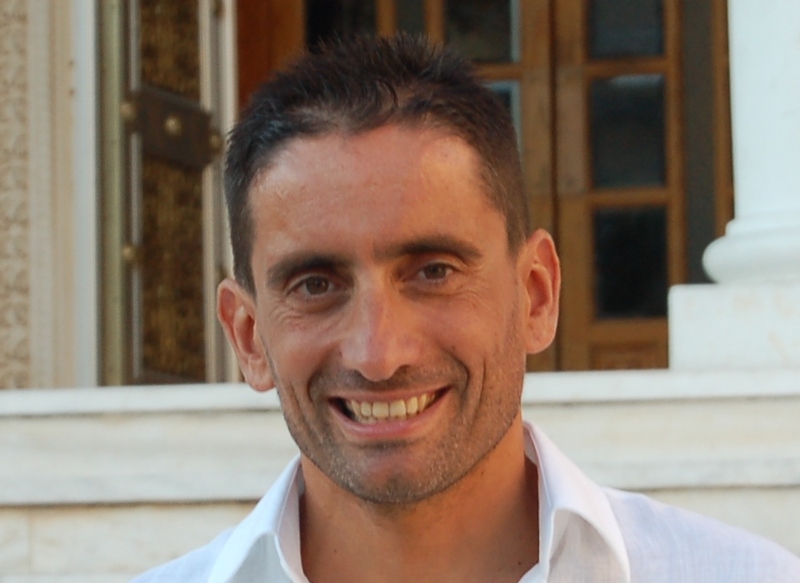 He is the Head Coach for Athens Triathlon Team (Best Hellnic Triathlon Team) and member of Smart Sport Coaching Services Team. Create High performance Sport Teams. Team building based on desired values and culture is his priority. Sport Performance analysis of endurance sports. Creating custom test protocols for laboratory and on the field tests. Swimming and Running Technique Improvement. He has started doing triathlons in 1990. He has completed his first Ironman in 1993 (Almere – Holland) and he has participated in his first international race in 1992 (Sofia, Bulgraria) representing Greece. He has competed in more than 200 triathlon & multi sport events (amongst them 3 Ironman- 12 half ironman races) and he has achieved more than 150 podium places. Rarely was out of the podium in a race that he was participating. He has competed in more than 120 road running races (from 3 km up to 80kms). He was member of the National Triathlon Team until 2001. He had elite level physiological characteristics as measured in a cycling scale test (80ml/kg/min (1992) & 75ml/kg/min (2001)).